Vermont cities and regions offer access to all types of geographical, cultural and social opportunities! Find just what you're looking for at Vermont.com, from urban Burlington to the slopes at Killington and everything in between! You will discover all kinds of things to do in Vermont cities and urban centers, as well as pristine Vermont state parks and tourism sites. From the state capital of Montpelier to upscale dining and the arts extraordinaire in Burlington, to covered bridges and quaint New England village greens like those near Woodstock, to bustling commercial settings, these Vermont cities, regions and communities invite further examination! Use our map of Vermont to prospect for the communities and regions that have what you're looking for... find areas with great ski resorts like Stowe, gorgeous mountain views, or plan a getaway at a four-season vacation destination in beautiful Manchester. 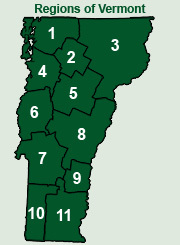 Vermont.com uses a regional system, dividing the state into 11 unique areas. Learn more about this City! Carefully preserved waters, woods and wilds make Vermont's Islands & Farms a paradise for bird watchers and anglers, swimmers and boaters. Cities include North Hero & St. Albans, the premier attractions include Lake Champlain Ferries and Royal Lipizzan Stallions. An abundance of mountains, lakes, rivers and quaint villages anchored by majestic Mt. Mansfield, Vermont's highest peak and one of the world?s most famous ski and snowboarding mountains. Primary city is Stowe, which is a major ski attraction along with Smugglers' Notch Resort. Home to rolling hills, glacial lakes, two ski mountains, sixteen covered bridges, and the Big Falls of North Troy. Cities include St. Johnsbury and Newport, along with popular ski areas, Burke Mountain and Jay Peak. Diverse cultural activities, mountain views, back country roads, world-class food, fantastic nightlife, superior shopping, and a host of outdoor recreational activities in all four seasons. Popular cities include Burlington, Shelburne, and Essex Junction, along with skiing at Bolton Valley. Quiet villages, rolling hills, granite and politics. Popular cities include Montpelier, Barre, and Waterbury, along with ski areas in Mad River Glen and Sugarbush Resort. Amenities for every interest: recreational, culinary, hospitality, and, of course, shopping! Popular cities include Bristol, Middlebury, and Vergennes; attractions include New England Maple Museum and Vt. Folklife Center. Enjoy any season to its fullest! Skiing, skating, and snowmobiling in Winter and Spring. 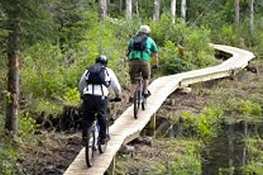 Swimming, hiking and biking in Summer and Fall. Popular cities include Killington (also well known Ski area) and Rutland. Diversions to delight you from season to season throughout each year? from one visit to the next. Popular cities include Woodstock, Quechee, and Randolph, with great skiing at Bear Creek and Suicide Six. 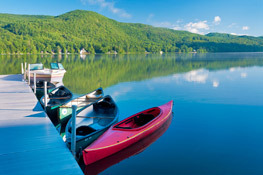 Canoe on Lowell Lake, visit the Calvin Coolidge Homestead, take a train ride on the Green Mountain Flyer or enjoy the vista of an 80 foot Water Fall. Popular Cities include Ludlow, Chester, and Springfield, Ski Areas located at Okemo Mountain Resort. From skiing to summer theatre, historic sites to shopping to hiking. Popular cities include Manchester, Bennington, and Dorset, skiing at Bromley Mountain. An extraordinary variety of outdoor activities, arts, entertainment and shopping. Popular cities include Brattleboro, Wilmington, West Dover and Weston; wonderful skiing at Stratton, Mount Snow, and Magic Mountain. 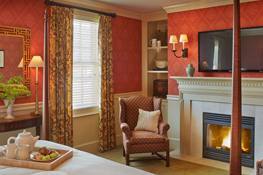 Green Mountain Inn - Offering modern comfort and classic touches in 107 unique guest rooms, luxury suites and village townhouses, our Stowe vacation packages let you enjoy the many activities that make a Vermont vacation special while experiencing all the charm and luxury of a historic New England Inn. 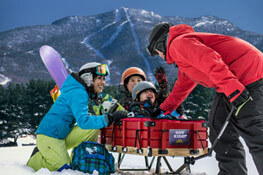 Smugglers' Notch, VT - Got Kids? Simply magical moments await at the #1 Kid-Friendly Resort! A Smugglers’ family vacation brings families together, while exploring the mountains. Enjoy award-winning kids’ programs – ages 6wks to 17yrs, indoor pool & hot tub, the Zipline Canopy Tours, and more! 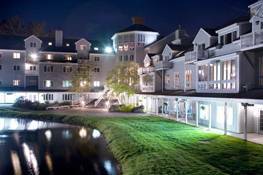 Holiday Inn Club Vacations Mount Ascutney Resort - An ideal location for your Vermont vacation. Great amenities and a central location make it perfect for summer family vacations, winter ski and holiday vacations, and of course, beautiful fall foliage getaways. 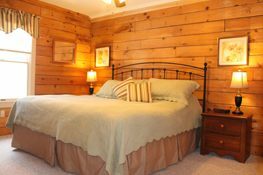 Sterling Ridge Resort - Log cabins offering a romantic, rustic setting with a modern twist located in northern Vermont; perfect for couples seeking relaxation. Lake Morey Resort - Set on a pristine lake and surrounded by green hills, the Resort provides a beautiful, natural setting that is fun and welcoming for all ages. Enjoy a wealth of activities on site, and great rooms, fine dining options, Summer & Winter Activities, and a Children's Program. 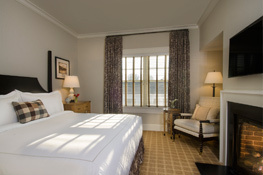 Kimpton Taconic Hotel - One of Vermont’s premier boutique hotels, with luxury accommodations combining rustic elegance, intimate ambiance, gracious service, generous amenities and warm hospitality. Enjoy updated regional cuisine at The Copper Grouse Restaurant and Bar. Peru, VT - Looking for a great family summer adventure? 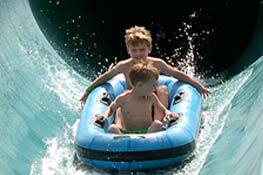 Visit Bromley, Vermont’s Mountain Adventure Park home to 23 rides and attractions including the Triple Track Alpine Slide, the Sun Mountain Flyer Zipline, the Big Splash Waterslide and the Aerial Adventure Park which was rated Best Treetop Play by the Boston Globe. We are looking for volunteers participating in a nutrition intervention study conducted at the Clinical Research Center (CRC) at the University of Vermont seeking to better understand the potential benefits of dairy fat against type 2 diabetes. Qualified participants must be: Men and women ages 50 to 65 with prediabetes (condition with slightly elevated blood sugar higher than normal) and a BMI between 25 and 40, Having consistent dietary habits that include dairy products, and Available for 8 consecutive weeks . $1,000 compensation is provided if you qualify and complete the study. For more information and to schedule a screening, please call: 802-656-9422 and leave your name and contact number or email debourne@uvm.edu (Email is preferred). Join Ryan Mays at the Vermont Grantie Museum of Barre for a sculpting class on Thursday mornings. The class begins March 21st and runs until April 25th at 9:00-10:30a.m. Space to join the class is limited so register soon. To regeister you can call 802-476-4605 or email info@vtgranitemuseum.org. For further details contact the email above.